Are clear braces effective for treating crooked teeth? Clear braces are ideal for patients with mild to moderate tooth misalignment. Clear aligners are safe and effective at gradually shifting teeth into proper alignment. Some patients with malocclusion can benefit from straightening their crooked teeth. Often times bite issues are related to crooked teeth. Your AACD dentist will help you determine if clear braces or traditional orthodontics or retainers will best treat your malocclusion. Clear braces are discreet, comfortable, and effective. Teen and adult patients benefit from being able to continue their normal daily social and professional interactions with the embarrassment of metal braces. Clear aligners gradually shift teeth into alignment with barely anyone else noticing you are wearing them. 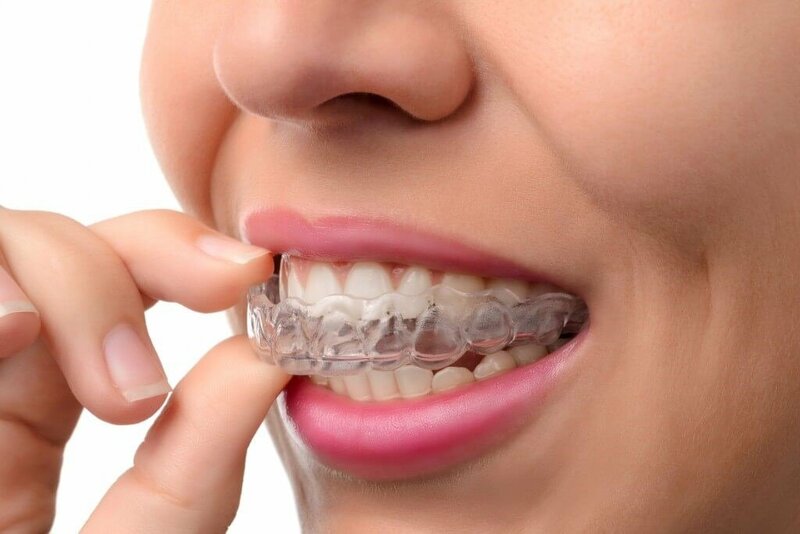 Clear braces fit snugly against the teeth so patients can speak normally while wearing the aligners. They are removable for effective oral hygiene reducing the risk of cavities often associated with traditional metal braces. Can teens wear clear aligners? Yes. Clear braces are safe and effective for teenaged patients with mild to moderate orthodontic concerns. Ask your AACD dentist about clear braces options for your teen. Can clear braces be used to close gaps in teeth? Yes. Clear braces are highly effective for closing minor to moderate gaps between teeth. The aligners are designed to gradually shift teeth closer together closing gaps in the teeth. Your AACD dentist will determine if clear braces or other cosmetic dental procedures will provide the best results for you.